All the main advantages of the traction and hydraulic elevators are considered with this product. 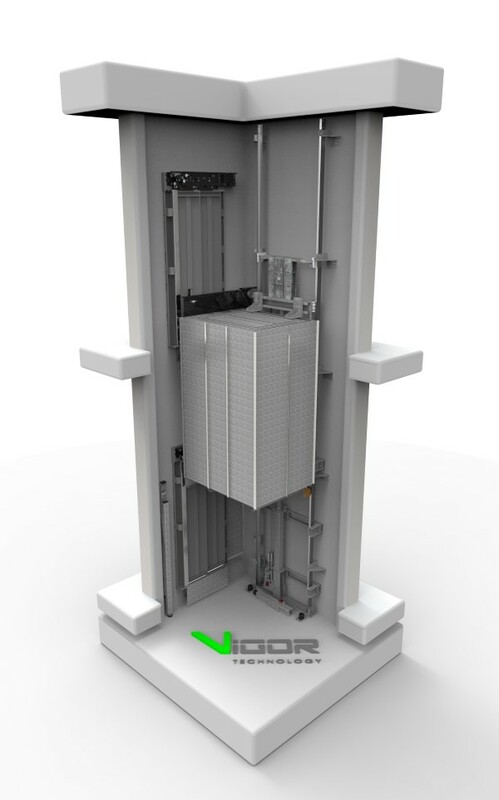 A relatively small cost, quick installation and inexpensive maintenance make this type of elevator one of the most popular types in Vigor's sales. The equipment is combined with all types of finishes and with a huge configuration of the types of cabins and doors. The pit and the small height of the last floor makes it ideal for any villa or penthouse. It can work both with two-phase and three-phase network.